We know that customer retention remains a challenge for businesses, and with a reported eight licensed sites closing per day in the past year alone, it is now more important than ever. They say a one-time customer is a lost opportunity and new customers are expensive to acquire. Returning customers provide consistent revenue, and restaurants must do what they can to keep them happy and coming back. But how? Loyalty programs have been around for years, but they are now more important than ever. Here at Kobas, we believe in a good loyalty scheme, which is why we introduced Kobas Customer Loyalty in 2014. Our most recent update, The Loyalty Booster, gives our clients the power to leverage their loyalty base to drive trade, even in quieter times. 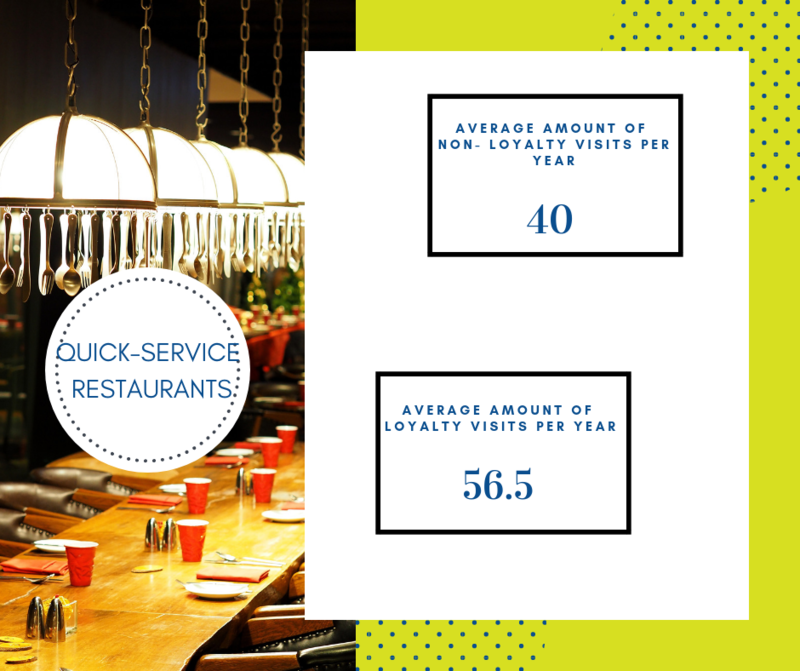 Last month, to get a better understanding of the effects of a loyalty program for restaurants, we asked Sean, our lead software engineer, to run some data. 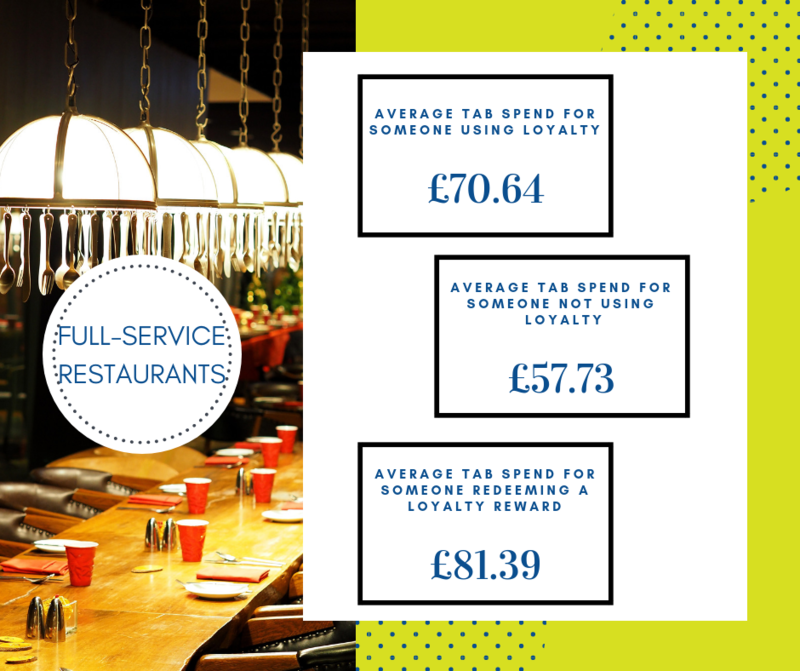 On average, customers at full-service restaurants who use loyalty cards spend £12.91 more on their tab than those who don’t. And customers who are redeeming rewards spend £23.66 more. In quick service, customers using loyalty cards visit a single restaurant 16.5 more times than customers who are not. The bottom-line? Customers spend more and visit a restaurant more frequently when they have loyalty cards. So today, we’d like to share with you five things to keep in mind when creating a loyalty scheme. Before anything else, you need to set a goal for what you want the program to achieve. How many members do you want for your loyalty in the first 3 months? 6 months? A year? How much do you want to increase repeat purchase, average order value or purchase frequency? These are important to keep in mind to make sure the program stays on track. When creating your loyalty program, think about what your customers want. Leverage current sales data and reporting to see what’s popular. Alternatively, you can speak to your customers and get direct feedback. It’s important to know what your customers want because they are the ones who will be using your loyalty system. When you know what makes your customers tick, you can give them exactly what they want. Like everything else, if you’re not marketing your product, your customers won’t know it exists. According to Deloitte, one of the two reasons customer don’t participate in loyalty schemes is because they simply don’t think it exists. So, talk about your loyalty program – on your social media channels, newsletters, and through your staff who should be mentioning it to every customer that dines. Keep it straightforward. Don’t make the program too complicated and with too many steps, one that makes your customers jump through too many hoops. Your loyalty program should be easy to join, easy to understand and easy to redeem. Rewards need to be straightforward without too much time between purchase and reward. Earn loyalty points whenever you spend = make the loyalty points equal to monetary value. Loyalty programs are easy to implement, but success depends on the execution. When you have a program that is customer-centric, simple to understand and easy to communicate, customers are more willing to participate. As a result, a loyal customer base can help you grow your business faster than any other form of marketing. If you’d like to start using Kobas loyalty, please get in touch with our support team and they can help set it up for you!